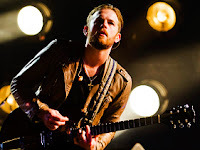 WJSG Internet Radio: Hangout Fest 2013: Find Out When Your Favorite Bands Will Play! Hangout Fest 2013: Find Out When Your Favorite Bands Will Play! If you didn't get a good night's sleep, consider taking a power nap before noon. Hangout Music Festival is here, and you're going to need all the energy you can get. Hangout is kick-starting summer Friday (May 16) with acts on acts on acts of cool music, from Kings of Leon to Kendrick Lamar to Macklemore. In Gulf Shores, Alabama, it's unlike any festival (ahem, white, sandy beaches and dozens of concerts? ), and this year's diverse lineup follows up past performers like Dave Matthews, Flaming Lips, Foo Fighters and Red Hot Chili Peppers. Now, for those music lovers who are attending, MTV can't wait to hang out with you! But for those who are stuck at home, watch some of the performances live-streamed on the Hangout site. Go now! We're taking all four stages and presenting them to you in two live streams. Check out when your favorite artists are playing! Twin Sister 12:30 p.m. Lance Herbstrong 12:30 p.m. The Breeders 1:30 p.m. twenty one pilots 1:30 p.m.
Toots and the Maytals 2:30 p.m. Ra Ra Riot 2:30 p.m.
Jim James 4:45 p.m. The Sheepdogs 3:30 p.m.
Grizzly Bear 6 p.m. AfroJack 4:45 p.m. Passion Pit 7:15 p.m. Ryan Bingham 6 p.m. The Shins 8:30 p.m. Macklemore and Ryan Lewis 7:15 p.m.
Kings of Leon 10 p.m. Big Gigantic 8:30 p.m.
Delta Rae 12:30 p.m. Brassft Punk 12:30 p.m.
Nicki Bluhm & the Gramblers 1:30 p.m. The Werks 1:30 p.m.
Shovels & Rope 2:30 p.m. Public Enemy 2:30 p.m. Dirty Projectors 3:30 p.m. Bright Light Social Hour 3:30 p.m.
Gov't Mule 4:30 p.m. Wolfgang Gartner 4:30 p.m. The Roots 5:45 p.m. Holy Ghost! 5:45 p.m. The Black Crowes 7 p.m. Kendrick Lamar 7 p.m.
Bassnectar 8:15 p.m. Slightly Stoopid 8:15 p.m.
Tom Petty and the Heartbreakers 9:45 p.m.
Best Coast 1:15 p.m. Zion I 12:30 p.m.
GroupLove 2:15 p.m. The Revivalists 1:15 p.m. Galactic 3:15 p.m. Baauer 2:15 p.m.
Ellie Goulding 4:15 p.m. Moon Taxi 3:15 p.m. Imagine Dragons 5:15 p.m. Porter Robinson 4:15 p.m.
Yeah Yeah Yeahs 6:15 p.m. moe. 5:15 p.m.
Trey Anastasio Band 7:30 p.m. Steve Aoki 6:15 p.m.
Stevie Wonder 9:30 p.m. Bloc Party 7:30 p.m.